It is a brand new year! I am bursting with new ideas and goals. One of the first things I do to kick my year off is invest in a new planner. I have spent a lot of time over the years choosing a planner. I even bought and returned several because they weren’t quite right. 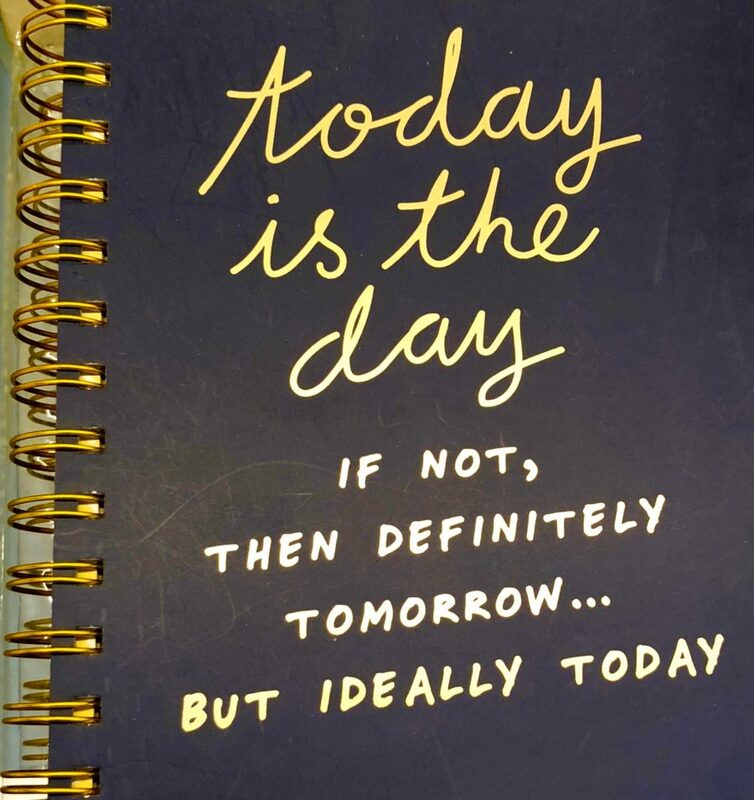 But I have to be honest–I have a love-hate relationship with my planner. To be clear, I’m not talking about the schedule that I use for appointments with my clients or a calendar to put important dates on. I’m talking about a planner. A planner allows you to structure your time around your priorities, can keep you on track, and is a great tool to focus on multiple areas of your life. Obviously I am aware that the planner is not the problem. It’s user error. First, I am totally into using my planner and want to keep it pretty with lots of colored pens. But eventually I stop using it, even though I know I should. To break through resistance I use this system. Write all the negative/resistance thoughts about the action. Write until I have clarity about why this really matters. As my own psychotherapist, I had this insight: I have ambivalent feelings about the planner because it is a mirror of my feelings and level commitment to myself. As my own coach, I know insight is not enough to enact change. To move from clarity to action you need tools, strategies and systems. A strategy is a plan of action or policy designed to achieve an overall aim. A system is the action itself. It is the way some something is done; like the method I use to break through resistance. A tool is a device to implement a particular function, like a timer or journal etc. Your actions are successful only if they are done consistently. Commitment is key. Many of the goals we set focus on self-improvement—being a better version of ourselves. When this is the case, there are no direct or immediate consequences of getting off track to any one but ourselves. This is an obstacle to success. We have to admit it: we will let ourselves down in ways that we would never let someone else down. The biggest lesson I learned in past year is that it is much easier to stay on track with a partner. Are you ready to make real progress toward your goals? Book a FREE Clarity Call today and let’s talk about getting you to the place you want and deserve to be.